We will run scenes from the play, and the cast and Artistic Director David Diamond will be available for interview. or if you require production shots. 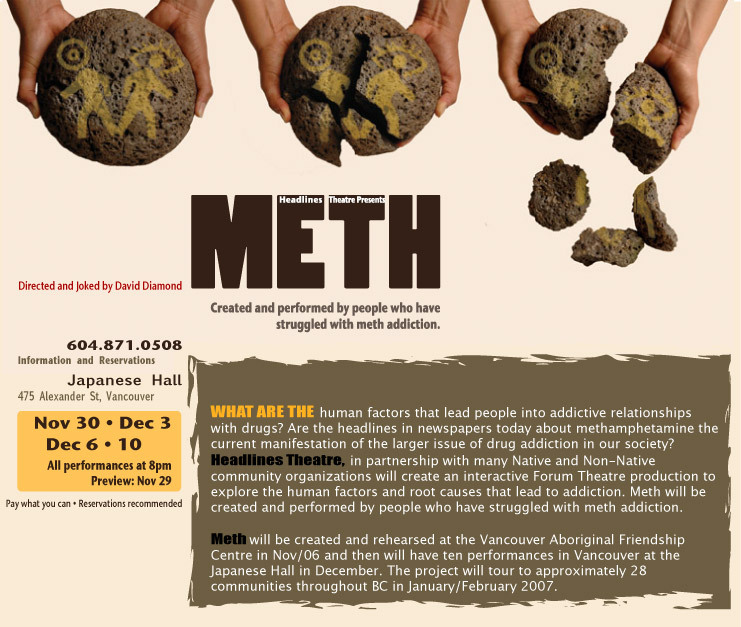 METH webcast was broadcast live to the world wide web on December 10, 2006, from the Japanese Hall in Vancouver. Thanks to everyone who logged on, watched live and participated with your unique interventions.